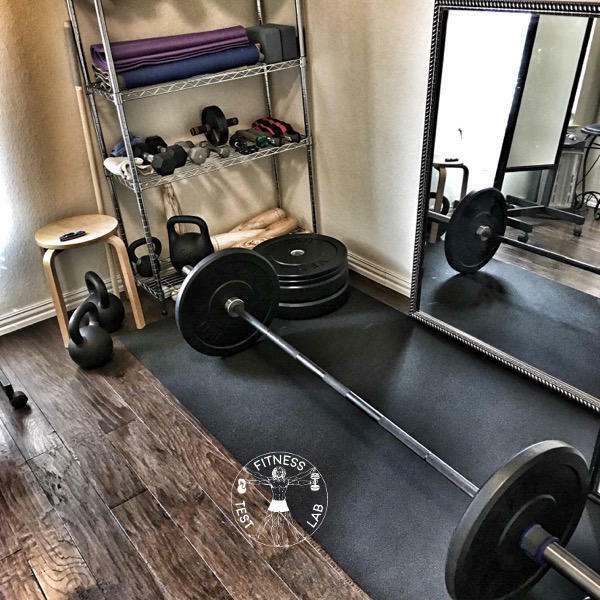 I recently upgraded my home gym with an Absolute Powerlifting bar and a set of black bumper plates from Vulcan Strength Training Systems. 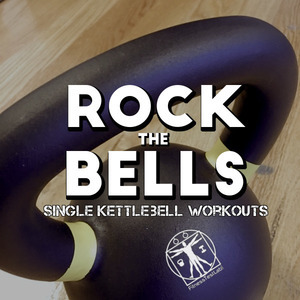 I still train regularly with kettlebells but I’m finding that adding old-school compound lifts to my regimen has done wonders to help my overall strength and daily energy levels. I’ve already written about my thoughts on the bumper plates, now it’s time to give the barbell the same treatment. The Vulcan Absolute Powerlifting bar has a tensile strength of 221k PSI, which makes it one of the strongest powerlifting bars available. 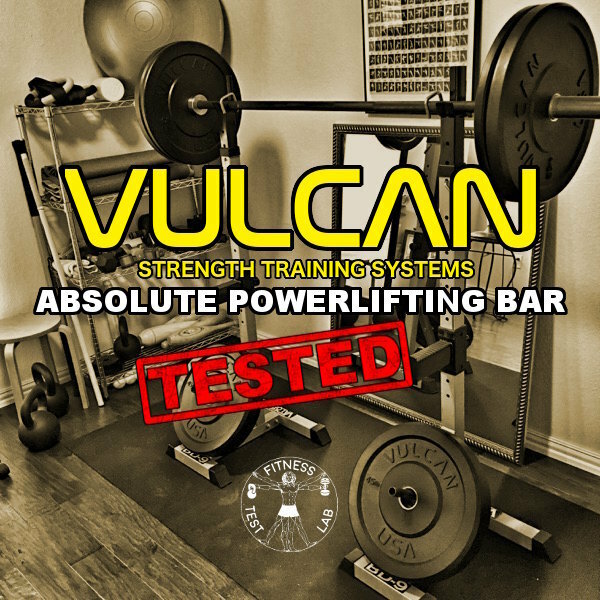 Vulcan states the Absolute Powerlifting barbells have been tested in real competitions with weights in excess of 1000lbs! That’s way more than I’ll ever be hoisting, so I’m certainly covered. Vulcan Strength Training Systems sells a wide variety of barbells for different uses. 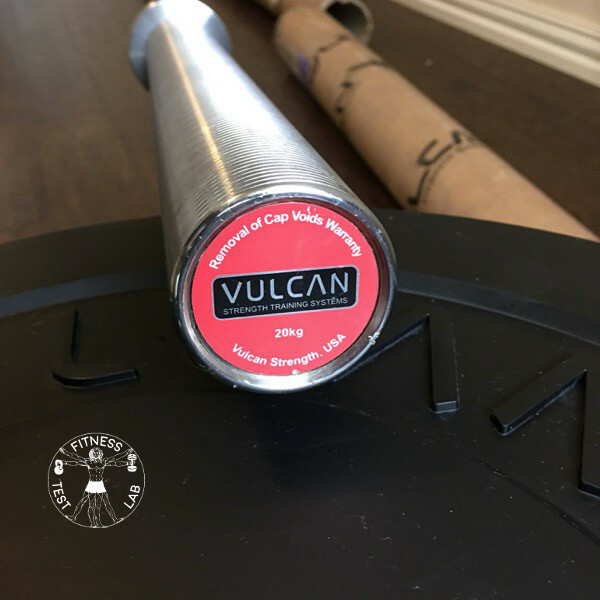 Generally speaking, Vulcan barbells can be divided into three separate categories: Olympic lifting, mixed-use (CrossFit), and powerlifting. 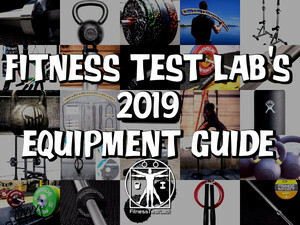 The most important factors differentiating the three uses are the the amount of flex (called ‘whip’) in the bar and the speed of sleeve rotation. Explosive olympic lifts require a bar with more whip in order to make the bar easier to catch. Olympic lifts also require the bar to spin rapidly in the sleeves to reduce the chances of wrist and arm injuries. More engineering goes into the design and manufacturing of Olympic bars so they tend to be more expensive. On the other end of the spectrum, powerlifting bars are designed for use in heavy compound lifts like squats, deadlifts, bench press, etc. They tend to be rigid with high tensile strength and less spin in the sleeves. 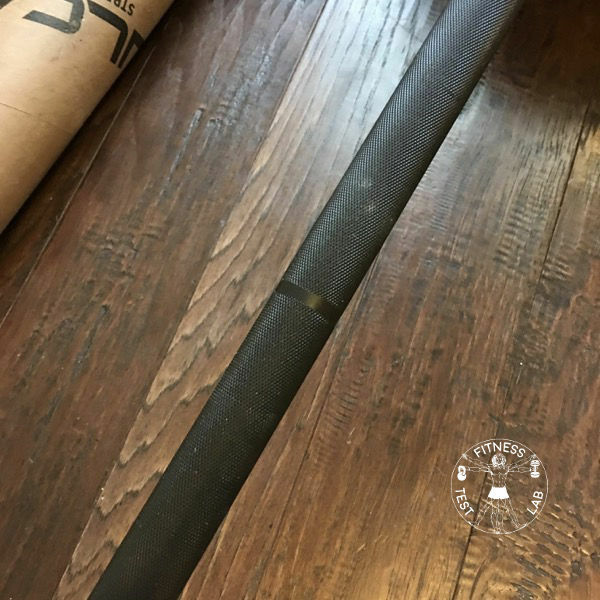 The simpler overall design of powerlifting bars means they are typically less expensive than barbells made for Olympic lifting. This is the type of barbell you’d typically find in a commercial gym. The Vulcan Absolute Powerlifting bar falls into this category. Bridging the gap between the two types are mixed-use barbells. These are bars that have enough whip and sleeve rotation speed for use with Olympic lifts while retaining enough rigidity for compound lifts. 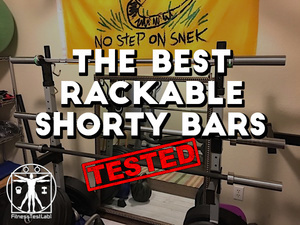 These are the type of bars generally used for multi-use training regimens like CrossFit. Pricing on mixed-use barbells will vary depending on how close they are to one end of the spectrum or the other. Although not every Vulcan barbell is intended for Olympic lifting, every Vulcan barbell is considered an Olympic bar. The naming has more to do with the size and length of the bar and sleeves than the intended use. 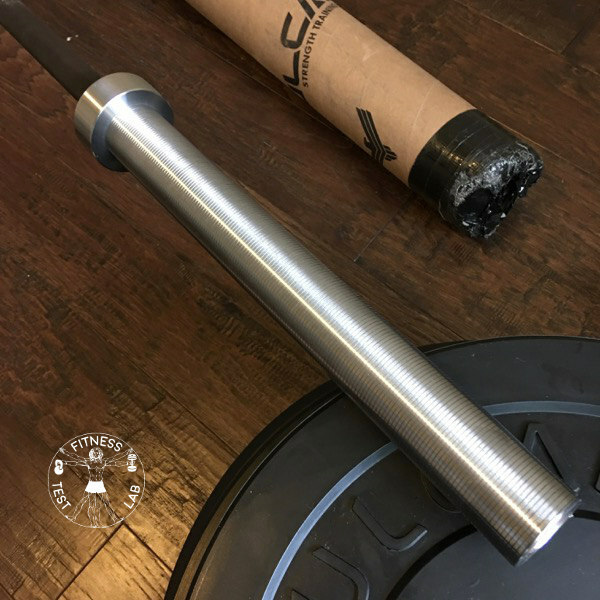 If you’re interested in learning more about what makes a barbell an Olympic bar I encourage you to read this very informative post on the Vulcan Strength blog. 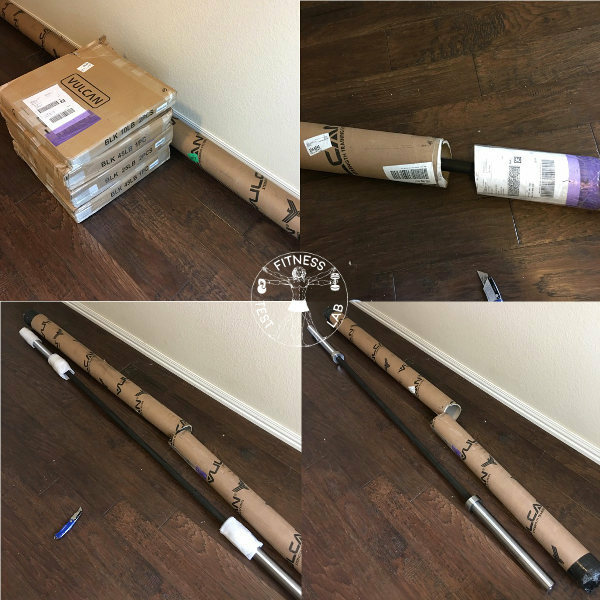 The Vulcan Absolute Powerlifting bar arrived packaged in a thick cardboard tube with metal inserts heavily taped over both ends. I didn’t even try to get through the tape and the metal to open the tube. Instead I decided to cut the tube down the middle with a utility knife and I pulled each half of the tube off the bar. The bar was very well packed and the sleeves were wrapped in foam for extra protection. I’ve never personally owned an Olympic bar before but I’ve used many over the years at various gyms. The Vulcan Absolute Powerlifting bar bar is by far the nicest barbell I’ve ever laid hands on. The sleeves have a smooth rotation and the knurling on the black oxide finish provides the perfect amount of grip for my preference. The Vulcan Absolute Powerlifting bar is a fine looking barbell. It’s almost too nice to use for actual weight lifting, but no one buys a weight lifting bar just to look at. This baby is getting put to good use. Laser-etched logo and serial number. Nice touch! I’ve been using the Vulcan Absolute Powerlifting bar and bumper plates for a few months now for squats, deadlifts, and overhead pressing to complement my kettlebell work. I really like the bar and the plates, there’s nothing I can point to that I would want to see improved. This is rare for me, because as an engineer I seem to always find nits to pick with the fitness products I use. I had no squat stands when I first received the Vulcan Absolute Powerlifting bar and black bumper plates, so I was limited to deadlifts for about a week. What really upped my game was the acquisition of a pair of Valor Fitness BD-9 squat stands on Craigslist. They work perfectly with this setup and I couldn’t be happier. Sadly, the large black mat I had in the picture above had to go back to Costco. It was made of recycled rubber and just plain stunk. Thankfully, I had an extra yoga mat on hand that works just fine as a floor protector. As I mentioned previously, I’m using Vulcan black rubber bumper plates with the Absolute Powerlifting bar. 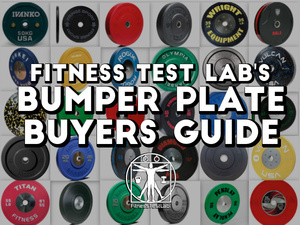 However, it’s not absolutely necessary to use the same bumper plates that I am. The Absolute Powerlifting bar can be used with any Olympic-sized plates. 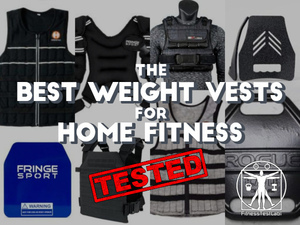 This includes steel plates if you’re inclined to use them, although I don’t recommend steel plates for a home gym. 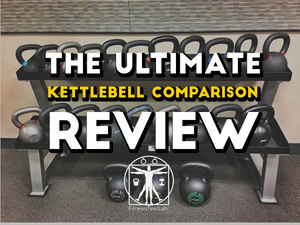 I explain why in my article on combining kettlebells and barbells for strength training. 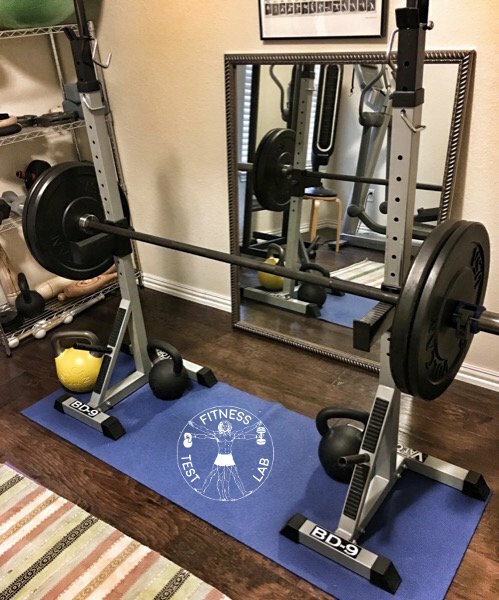 The Vulcan Absolute Powerlifting bar is an excellent option for a home gym, especially if you aren’t interested in Olympic lifts or CrossFit. It’s a reasonably priced option that is extremely well made. With proper care it will last a very long time. In fact, this applies to all my Vulcan gear, everything I own from them is exceptionally high quality. Feel free to ask any questions in the comments if there is something you’d like to know that I didn’t cover!